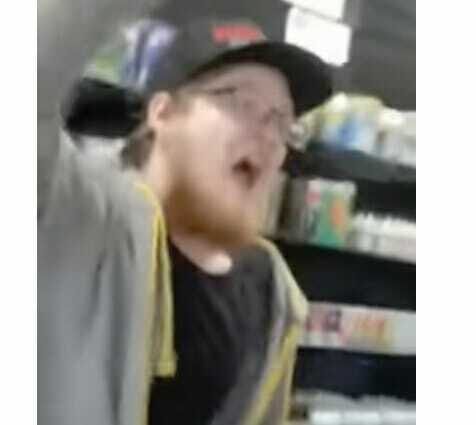 “If you do not stop recording in my store, I’m going to call the police and ask you to leave,” the triggered employee said. The customer refused to be bullied and told the clerk to call the police — this is when things took a wild turn. “F*ck off dude! F*ck off! Get the f*ck out of here!” the employee screamed as he assaulted the customer. “Leave the store! Leave the store! Leave the store! F*ck off! Get the f*ck off n*****!” the employee screamed. At one point the customer threatened to call the cops for assault if the employee didn’t ring up his order. The employee continued to melt down and refused to serve a paying customer — the best part about the video is that the pro-Trump customer REFUSED to back down to the liberal lunatic. At the time of this publication, the Yelp page for Xhale City vape shop in Tucker, GA was filled with one-star reviews calling for the unhinged employee to be fired. Such tolerance, always brainwashed aholes parroting crap they learn in college and high school.